Generate reliable income for your campaigns and increase the lifetime value of donors with recurring donations. Little donations add up to big support for your organization. When donors give into monthly, they are more likely to give and give more over the course of a year than supporters who make one-time donations. Network for Good suggests that the average recurring donor gives 42 percent more during the course of a year than one-time gifts. 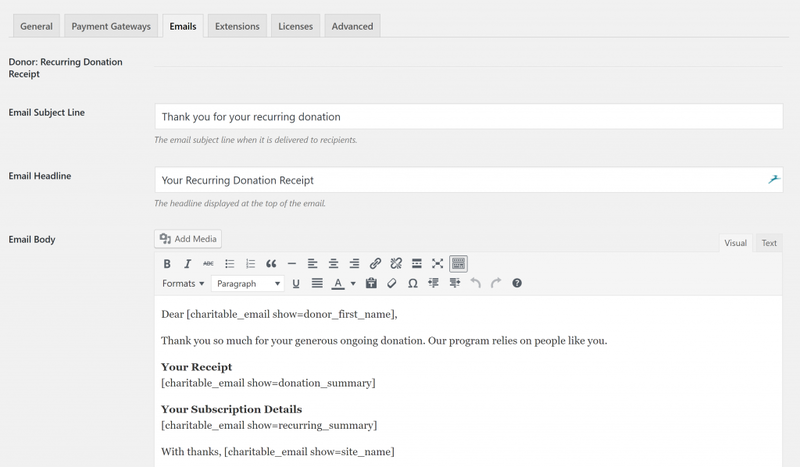 Recurring donations help you accept ongoing donations right from your own WordPress website. 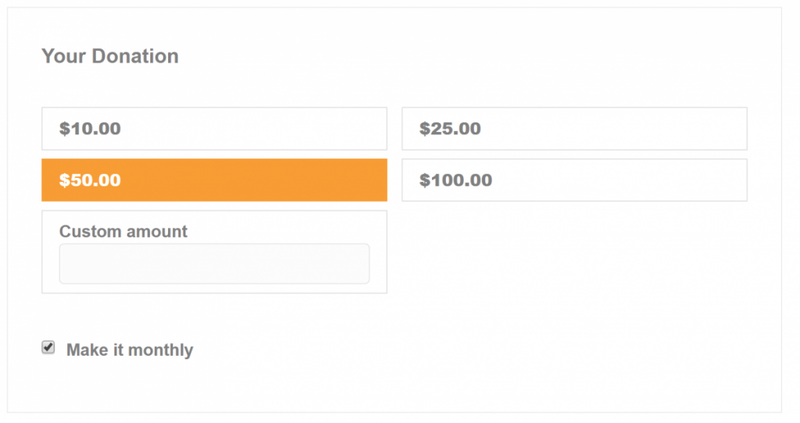 You can very simply add a “Make it monthly” checkbox to your donation forms so that donors can quickly convert their donation into a recurring gift. Or if you’d like a little finer control you can create a beautiful tabbed interface that offers different monthly gift levels. 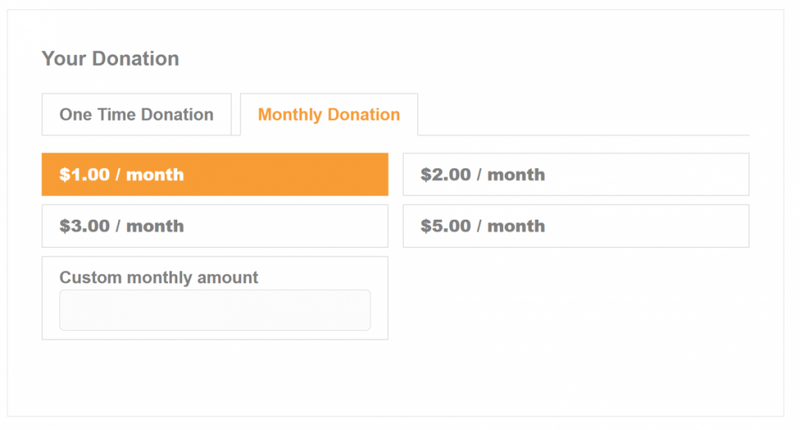 Recurring Donations advanced mode: with multiple suggested monthly amounts. Send unique receipts to your recurring donors both when they send their first donation and with ever renewal. PayPal Standard (included in the free Charitable plugin). Note: Recurring billing with PayPal is only available for Business or Premier accounts. Please note: Recurring Donations doesn’t work with the Easy Digital Downloads Connect extension.